Feeding roses coffee grounds is a traditional method of fertilizing rose bushes and enriching soil.Organic gardeners often use coffee grounds in compost and to dress the soil in rose and flower beds. Feeding roses coffee grounds is a traditional method of fertilizing rose bushes and enriching soilOrganic gardeners often use coffee grounds in compost and to dress the soil in rose and flower beds. There are four ways to feed your roses coffee grounds. 1. Use coffee grounds in your compost heap along with other "green" kitchen waste, then use the compost to dress the soil around your rosebushes. 2. Feed roses coffee directly. Once or twice a season, sprinkle a cup of dried, used coffee grounds on the soil around each rose bush, then lightly dig it in. 3. Mix used coffee grounds with wood ash. Use three parts coffee grounds to one part ash. Every one to two weeks, lightly work a cup of the coffee-ash mixture into the soil around the rose bushes. 4. Mix one-half pound used coffee grounds with five gallons of water to make liquid fertilizer. Use to water your garden, including roses, once or twice a month. Coffee grounds contain small amounts of nitrogen, which is a major ingredient in most chemical plant foods. Roses enjoy soil that is neutral to acidic. If your soil is alkaline, dressing it with coffee grounds will lower the pH balance. Coffee grounds lighten the soil around your rosebushes, making it easier for roots to grow. Even more importantly, they attract worms and worms aerate and loosen the soil so that your roses get more oxygen and water. Finally, coffee grounds may help deter some common garden pests and bacteria. 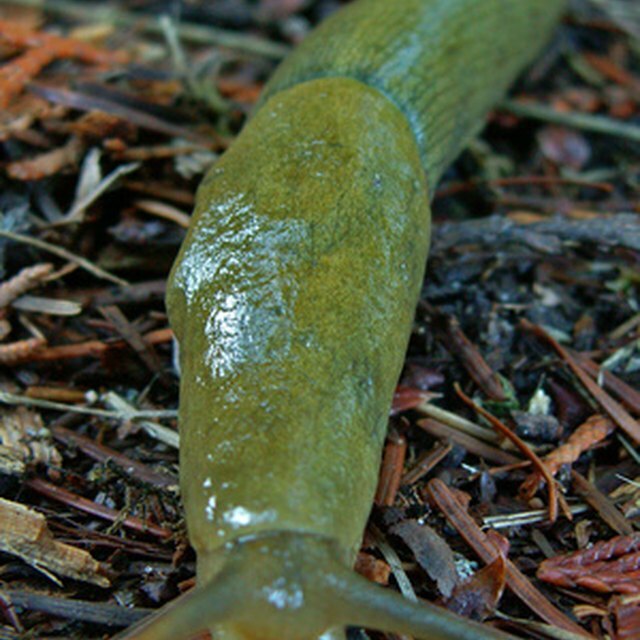 Despite popular belief, coffee grounds do not kill garden slugs that feast on roses. There's not enough caffeine in the grounds. However, spraying roses with diluted coffee may discourage slugs and other pests from munching on the foliage. Feeding your roses coffee grounds will not make your bushes set more roses or grow bigger roses. Feeding your roses coffee grounds or watering them with coffee will not kill your roses. Don't use coffee grounds too often. It will make the soil too acidic for your roses. For the same reason, don't use more than 1 to 2 cups of coffee grounds per rose bush. If using the coffee grounds as mulch around rose bushes, work it lightly into the soil to avoid attracting mold and harmful bacteria. When using coffee grounds in compost, mix three parts coffee grounds to one part "brown" materials like dried tree leaves. The effects of feeding roses coffee grounds are limited. Most garden experts and nurseries say that feeding coffee grounds to your roses will not make them grow faster or increase the size or number of roses on your bushes. It may, however, encourage foliage growth and discourage some pests. If you've got a lot of roses to feed, your local Starbucks can help. Many Starbucks stores set aside their used espresso grounds for local gardeners. All you have to do is ask. If you don't have a Starbucks nearby, check with the owner of your local coffee shop or other restaurants that serve coffee. Chances are, they'll be happy to set aside coffee grounds to help you out.